Baby wearing (or baby carrying) is the practice of carrying your baby or toddler in a carrier. This practice has drifted away in our modern society in comparison to our ancestors. 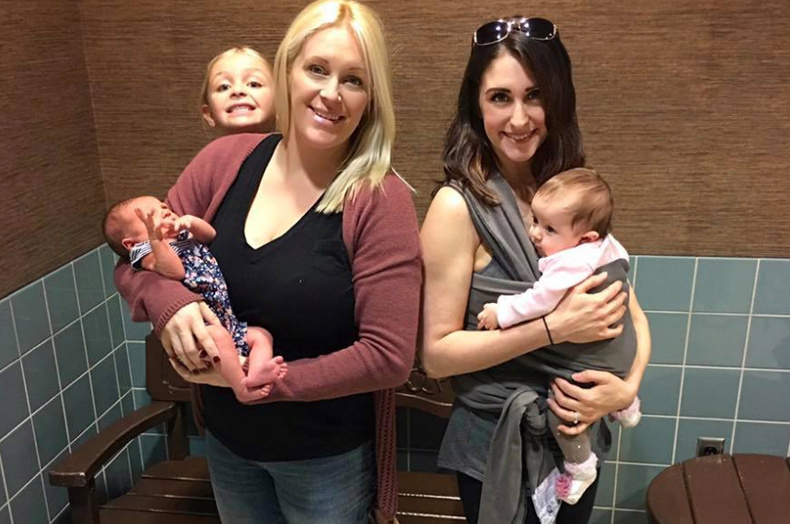 Natural modern day moms are reverting back to the tradition of baby wearing for many reasons! Not only does it strengthen the bond between parents and baby during the “fourth trimester”, but it also aids in development both physically and emotionally by providing the infant with a safe way to discover their surroundings. Babies need and enjoy motion! Much like the mothers womb, the carrier mimics a similar sensation to the movements while providing warmth and security. I love this carrier because it’s easy on the back and the fabric is very comfortable. The cons to this carrier is the fabric is very long and takes some getting used to. It also gets a bit warm so I recommend the fewer layers the better. I only wore this out in public a handful of times and ended up putting it on before I left the house. The fabric is so long I couldn’t imagine putting it on where it could drag on the floor and get dirty and “germy” (as a first time mom I am overly cautious LOL). 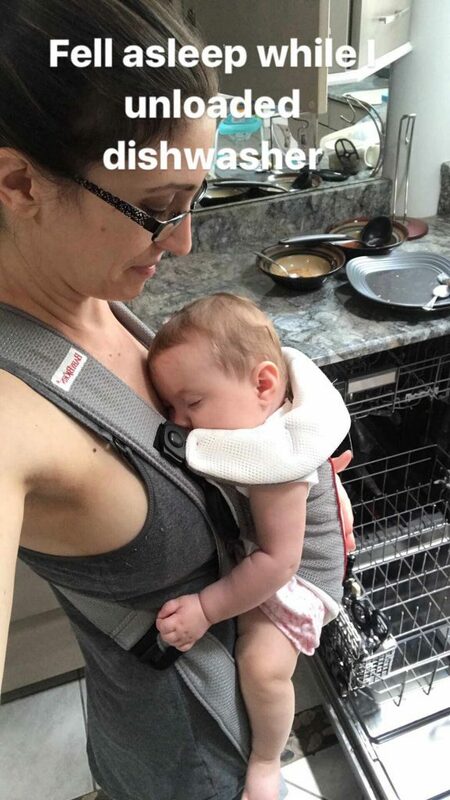 All in all the Moby carrier is a nice stretchy fabric carrier that’s good for house wearing. Want to purchase this item! I’ve linked it here for you! 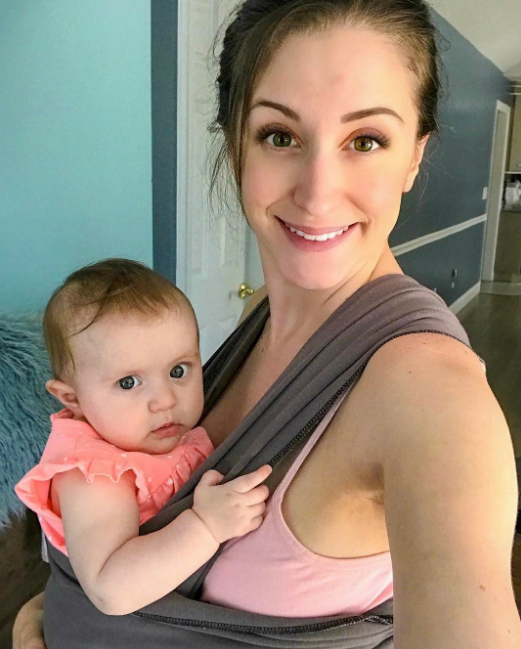 I absolutely love this carrier – it’s so easy to put on and functional! It is my go-to carrier when I’m out and about. My daughter wouldn’t ride in the car seat in the stroller, so the carrier was my only option for the longest time. It wasn’t until she was about 7 months old that she even gave the stroller a chance. What’s great about this carrier is my husband would wear it too – so it was awesome it was gender neutral. My only con for this carrier is after a while it starts to hurt your back – the lumbar isn’t really supported well. If you couldn’t tell she loved this thing!!! 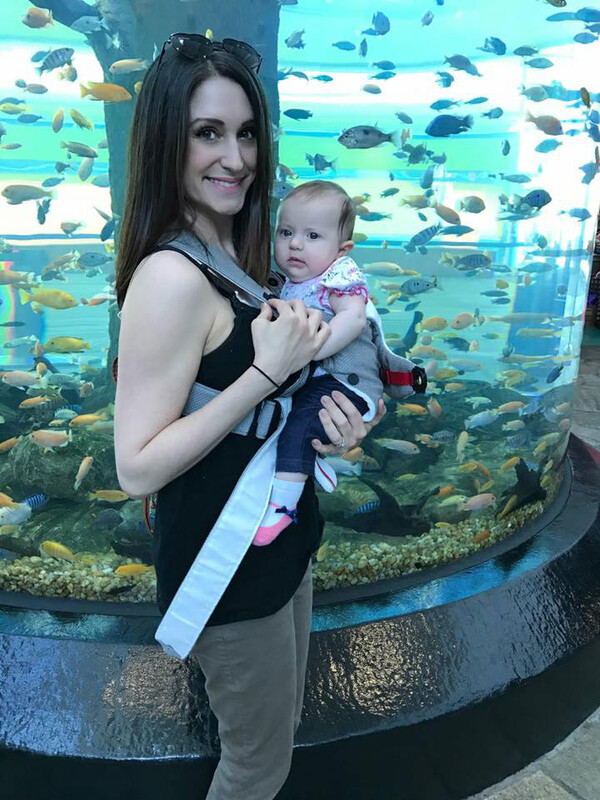 We first tried one of the fabric carriers, and (maybe I was doing it all wrong) my daughter just kept sinking lower and lower the longer I wore her! I wanted to love it so bad, but I just couldn’t figure it out. The Baby Bjorn was out of the question because of the price, but my mom stumbled upon one in a thrift store and bought it for us..best purchase ever! I absolutely love it. We live in London, and not having a car can make strollers a huge pain. 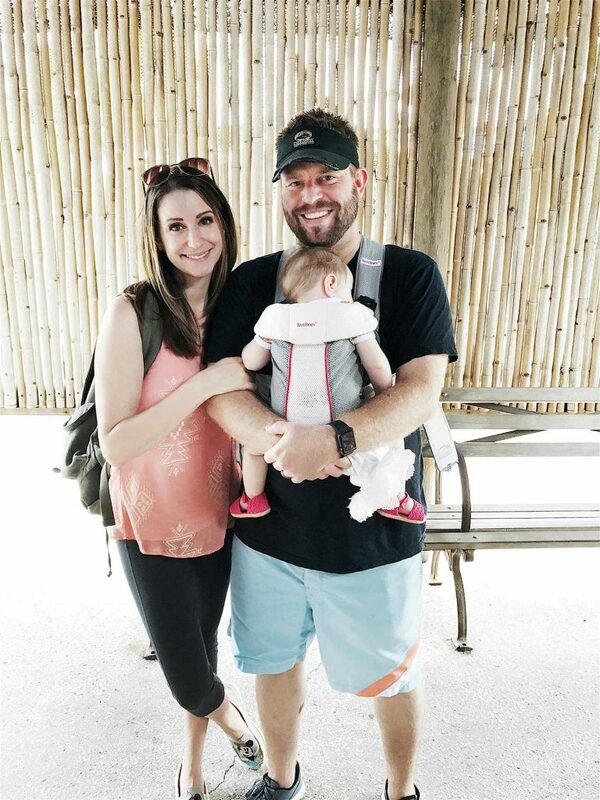 Baby Bjorn was/is a life saver. 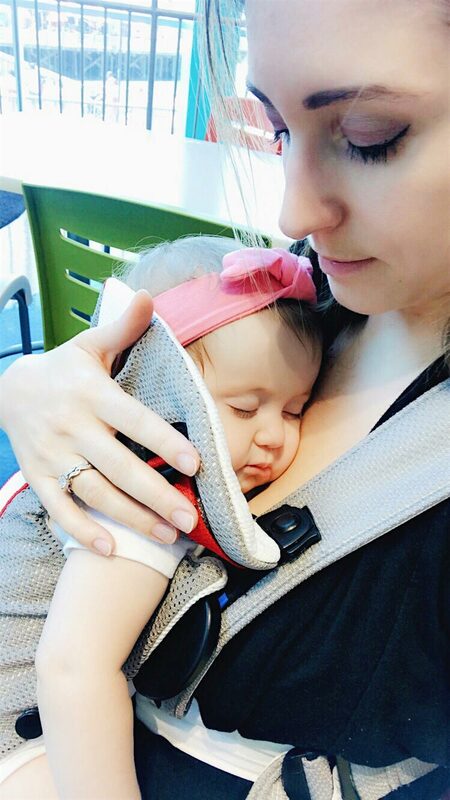 What a great post on babywearing! As a new, first time mom, babywearing can be super scary. You are entrusting this piece of equipment to hold your most precious object. It took me awhile to build up the nerve to try it out, but once I did, it was life changing. Unfortunately, the Baby Bjorn didn’t work for me, but I know many who love it.